This is Hornsey Church Tower, built as part of the medieval church of St Mary when Hornsey was a small rural village in Middlesex. 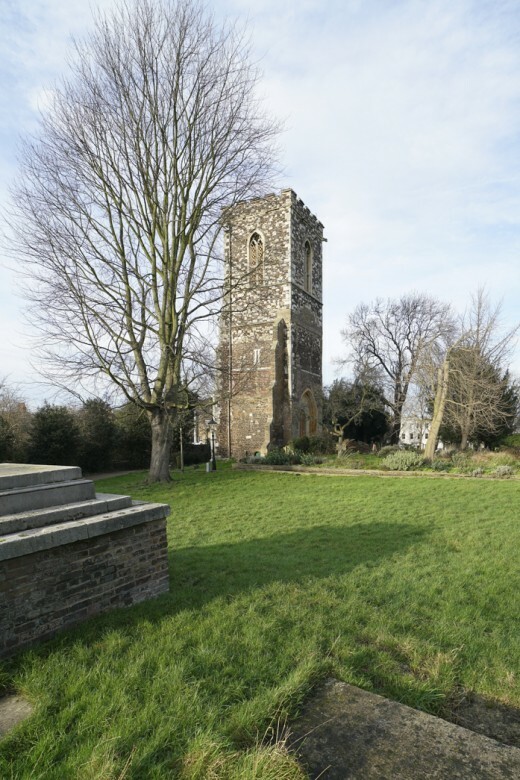 The lower part of the tower is mediaeval, and according to the Friends of Hornsey Church Tower was probably completed around 1500. The churchyard was used as a burial ground from C13th (and doubtless long before that) until nearly C20th when the parish still extended to Stoke Newington.